Roofing problems can occur at any time, and they might be virtually unnoticeable to the average homeowner, but they always need to be repaired as soon as possible. Any problems with your roofing can quickly grow into major issues for your home, so it’s very important that you take care of them as soon as possible after they develop. At Serrano II Inc, our Middletown roofing contractors can provide you with repairs for any roofing problems that you encounter, but if you’re able to identify these problems before they get out of hand, those repairs will be much less complex and expensive. No matter what kind of material your home’s roofing is made of, it can always develop a leak, and if it does, you have a serious problem on your hands. Leaks in your roofing can be caused by a number of different factors, but the most common of those is damage to the joints. Joints are located between the roofing and a chimney, or between two sloped sections of a roof. The joints of your roofing are highly susceptible to leaks. 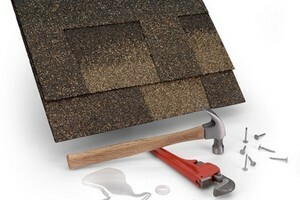 Your flashing is another part of your roofing where leaks commonly occur. Flashing is, simply put, a name for a number of different waterproofing materials. It’s used where anything comes up and out of your roofing, like a chimney, pipes, or vent stacks, to prevent water from seeping into these areas. Your roof’s flashing will become weak over time, and parts of your flashing may let rain seep in and underneath shingles. If you catch these problems early enough, you’ll be able to simply reseal the flashing. Roofs are designed to withstand severe weather conditions, but as the first line of defense your home has against weather, roofs are the first thing to be damaged during a storm. If any shingles on your Middletown home’s roof become loose during a storm, wind can easily slip underneath them and pull them up. After that, many parts of your roofing will become much more vulnerable to damage. The best way to keep your roofing in excellent condition is to have preventative maintenance performed regularly. Our professionals recommend that you have your roofing inspected at least once every three years. If you’re looking for roofing repairs in Middletown, call Serrano II Inc at 845-692-2226, or fill out our online request form.